Aluminium cable cleats and cable clamps are designed to fix, retain and support low and high voltage cables. In addition, where short-circuit cable faults are anticipated, correct cable cleat selection will result in the containment of the cables during a fault and enable the circuit to be restored once the fault has been repaired. When adjacent cables carrying three phase current suffer a short circuit cable fault, the induced magnetic fields result in the cables experiencing significant opposing forces. A safe electrical cable installation requires well designed and thoroughly tested cable cleats. 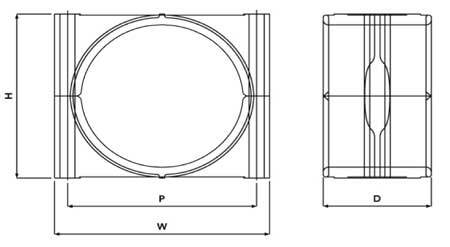 Ellis Patents aluminium two bolt hole cable cleats and clamps are recommended for higher specification cleats installed in temperatures of -60 to +100 Degrees Celsius and suit cable diameters 51-114mm. Cast aluminium alloy cable cleats in plain LM6 aluminium to BS1490 for dry indoor use or outdoor unpolluted areas. These two hole aluminium cable clamps can be epoxy coated for harsher environment installations such as sea air and contaminated conditions. Ellis Patents aluminium cable cleats with two bolt (M10) fixing holes offer space saving cable support and are designed to be easily stacked, allowing direct fixing onto cable supports including cable channel and ladder. Ellis Patents 2 hole cable clamps have been tested in accordance with the European Standard of "Cable Cleats for Electrical Installations" BS EN 50368 : 2003. Ellis Patents are the global leader in the manufacture of quality, trusted cable cleats. The electrical substations throughout Lusail City, the new city currently being built on the east coast of Qatar, is to be installed by 20,000 aluminium clamps from cable cleat manufacturer, Ellis Patents. 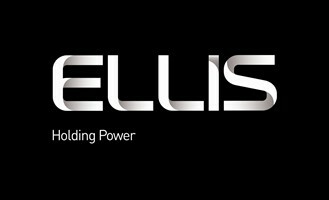 Ellis Patents’ two-hole aluminium cable clamps were specified through the company’s Qatari distributor, Mannai Trading and the latest shipment of cable cleats left the UK in May 2011. A key factor in the order was the benefit that Ellis Patents cable clamps had third party short circuit certification that proved they would withstand the particular demands of the power cable installation. Ellis Patents cast aluminium alloy cable clamps, which are available in one-hole cable cleat versions, are designed for higher specification projects that call for all metal cable cleats and can be installed for use in temperatures of up to 150°C.